Home » Movies » A Long Story Short: Short Films Are Trending Big Time! Short Films are trending big time in India and other regions of the world. The proliferation of affordable and reliable internet has created new opportunities for content consumption. The ‘mobile first’ generation is hungry for good content on their personal screens. The cheap internet has opened up the entire nation and regions for consuming short films – one does not need to visit a cinema. And short films are ideally suited for the personal screens and small time window. Young Generation is more eclectic in their choices. They are looking for new and diverse content. They are more experimental in nature and reward a good story regardless of the star cast. The young and impatient generation has a short attention span and they are look for instant gratification. Short films are “Any Time Movies”. Online Platforms like YouTube gave a big boost to short films. Today, there are numerous platforms including Netflix, Amazon Prime, Hotstar, Zee5, ErosNow etc. providing a great distribution reach to these movies. Humara Movies, Pocket Films, Terribly Tiny Tales, Alt-Balaji etc are dedicated to the short films. Tata Sky has a dedicated Shorts channel which has more than 2000+ movies. Shorts TV is the global leader for short movies and it produces and distributes short movies. In addition, there are large number of Film Festivals dedicated to the short movies. Film makers love the creative freedom provided by the medium of short movies. There is no big pressure of formula movies and and other commercial considerations to bow to. Film makers from across the nation and globe can bring their original stories. They do not need censor certificates for these movies – a big factor. Short movies can be a launching platform for new makers. Existing players can use the platform to diversify their portfolio. 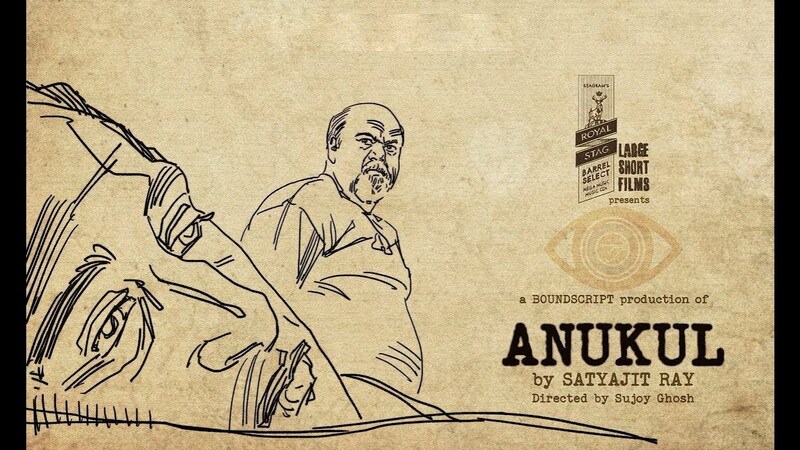 Lot of big names have taken a leap in the world of short movies – Anurag Kashyap, Sujoy Ghosh, Neeraj Ghaywn, Jackie Shroff, Irrfan, Tapsee Pannu, Manoj Bajpayee, Radhika Apte. Short movies also provide strong monetisation opportunities for unique content. The monetisation opportunities can be: direct brand associations, sale to platforms, film festival reward money and online ad revenue shares. The revenues can be global. The Royal Stag Large Short Films is truly a unique model – which can be exported to the world. Apart from the monetisation opportunities, film makers get a lot of Finanical support to get started. In US, film makers also get crowdfunding via Seed & Spark, Kickstarter, Indiegogo and other platforms. The rise of short movies is a great development. Does it send warning signals to full feature films? Not really. Both short movies and full feature movies can co-exist. T20 and Test Cricket both co-exist. The short movies are actually inspiring full feature movies. The rise of content-driven cinema is a positive influence of short movies. Short Film are the Haiku of the Cinema. Short Films are the Jamun Shots – small but they pack a strong punch. Short Films prove that when it comes to entertainment, size does not matter. Short movies are an art form in itself – the movies are completing the circle as the motion picture started in form of short movies only! Want a quick taste of short movies?